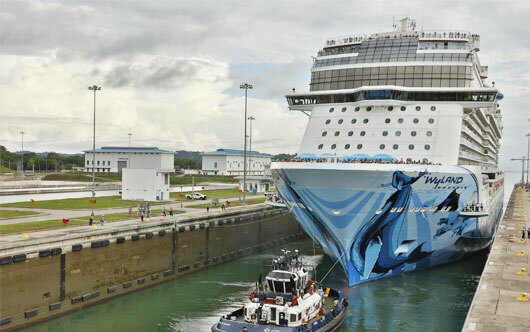 Norwegian Cruise Line’s (NCL) new Norwegian Bliss completed yet another milestone this week as it made its way to Seattle, becoming the largest passenger ship to transit the Panama Canal since the completion of the canal’s expansion project in 2016. As the newest and largest NCL ship at more than 168,000 gross tons and a capacity of 4,004, double occupancy, Bliss passed through the new set of locks, on both the Atlantic and Pacific sides. The new locks were constructed as part of the biggest enhancement project since the canal’s opening in 1914. Bliss cruised through the canal on its way to Los Angeles, and will complete its first Panama Canal cruise on May 25.